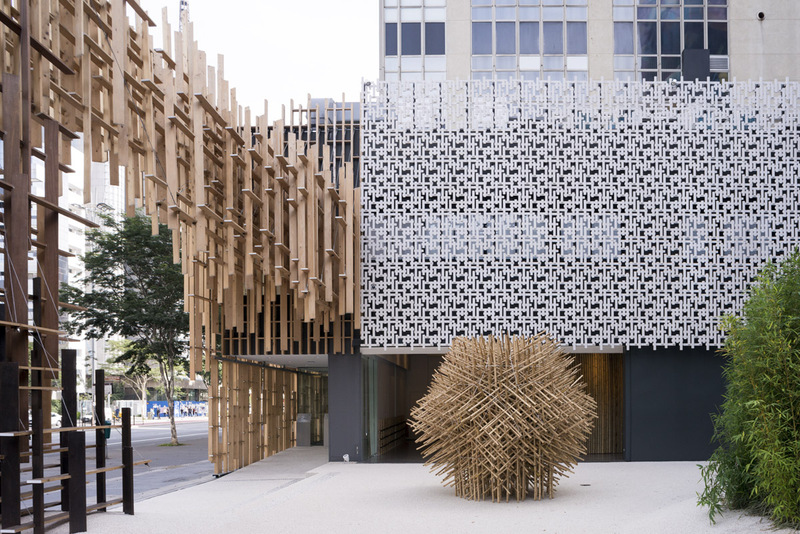 The Japan House Sao Paulo opened as the first case of the “Japan House Project,” led by the Ministry of Foreign Affairs that aims to promote various aspects of Japanese culture in the world. The building was formerly a bank located at Paulista Avenue, which is Sao Paulo’s city center. We repaired it by designing a wooden façade and the interior using washi (Japanese paper). Sao Paulo is a typical city of business in the world, but we added a place like a warm “house” for people to it. 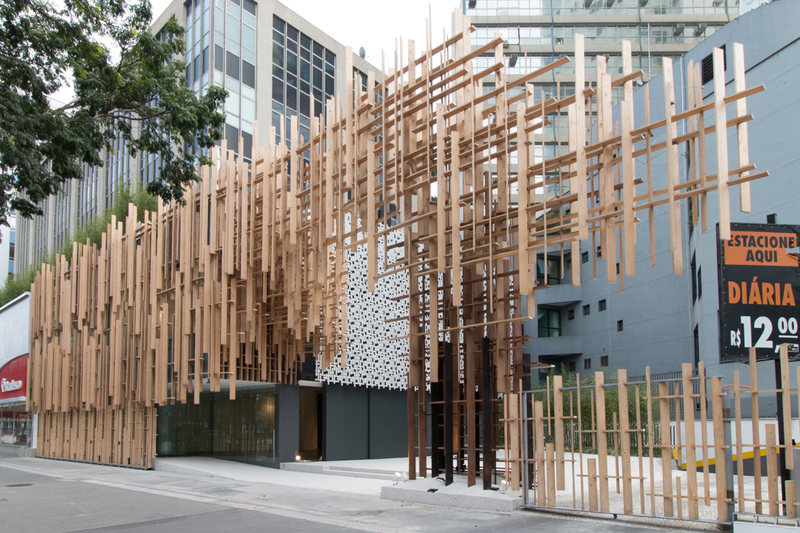 The façade is made of wired Kiso hinoki cypress supported by carbon fiber, which were put together to express a forest that emerged in the big city. 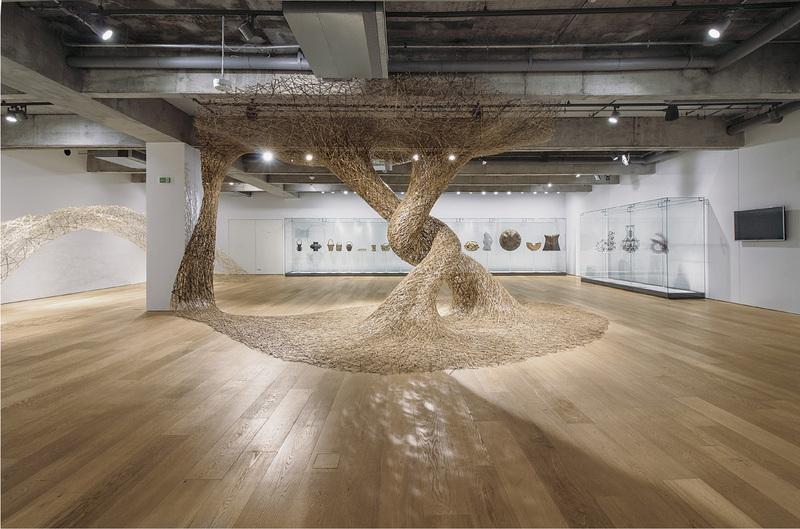 The main material in the interior is metallic mesh in washi style – an expanded aluminum metal soaked in liquefied paper mulberry. Combination of the traditional and the new material helped create a modern and transparent space that could convey another Japanese style. 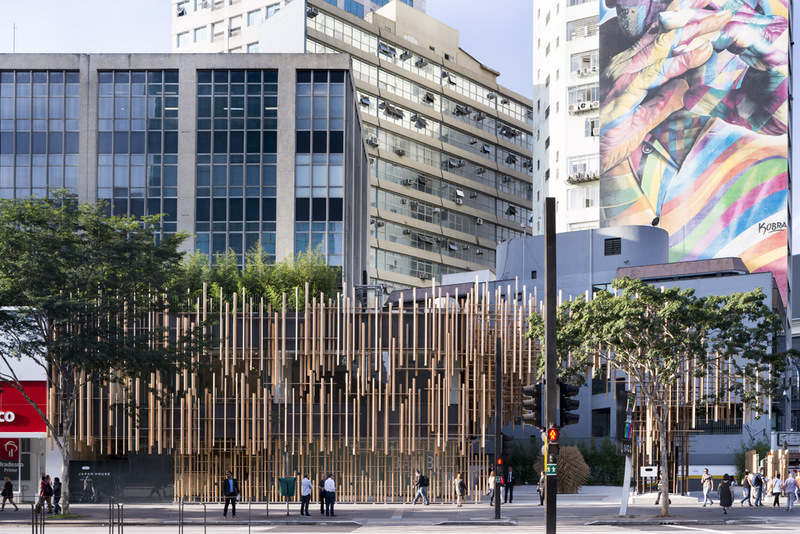 With its facilities such as a museum, lecture hall, shop and a restaurant, the Japan House has also become a new sightseeing spot in Sao Paulo and attracts lots of people.